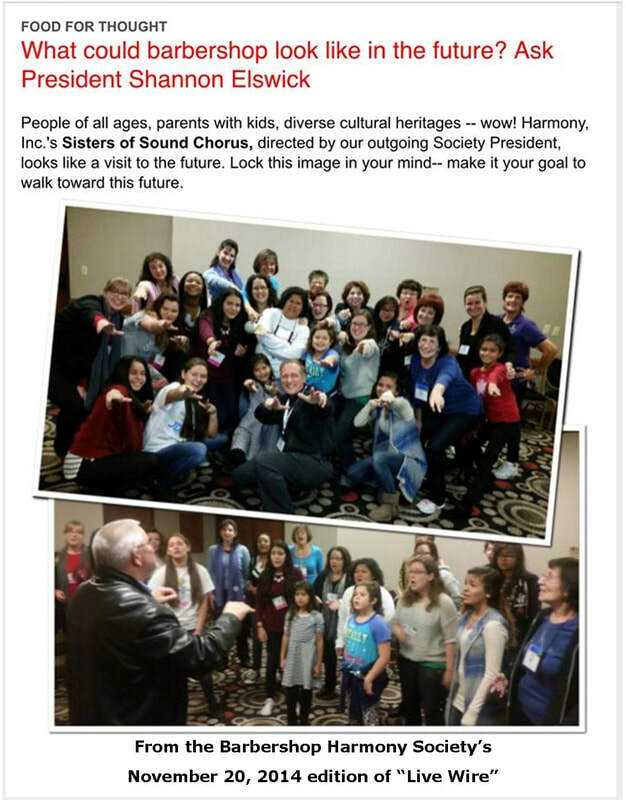 Sisters of Sound is a chapter of Harmony, Inc., an international, non-profit organization whose purpose is to empower all women through education, friendship and a cappella singing in the barbershop style. We are a competing chorus with conventions and contests being held each year for the purposes of educating members in the performance of the craft, bringing together the membership to see the best perform, informing the membership of the status and direction of the organization, and encouraging an atmosphere of friendship and camaraderie. Our Area 6 Convention and Contests (AC&C) is held each April in Jacksonville. International Convention and Contests (IC&C) is held in November for qualifying choruses with the venue changing annually. 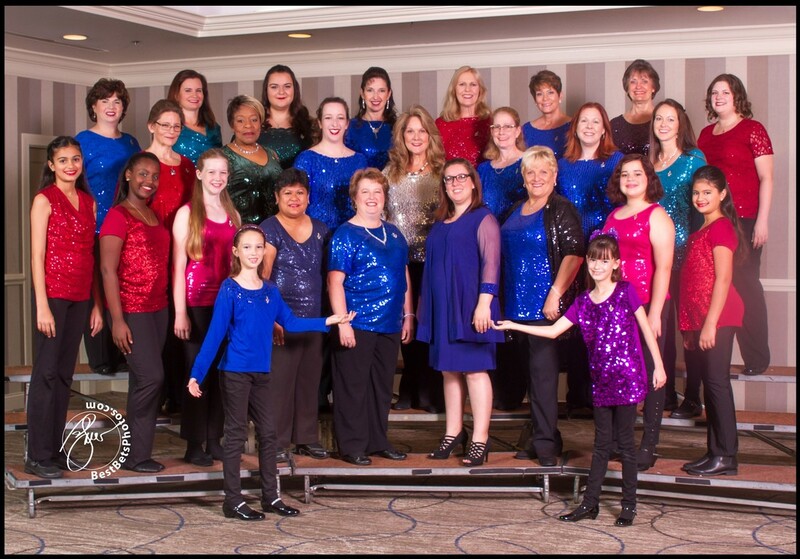 Sisters of Sound is also active in the community, performing at various venues including musical shows, fundraising events, community outreach programs, social gatherings, holiday caroling, and singing Valentines. ​Sisters of Sound is proud to introduce our little sisters!